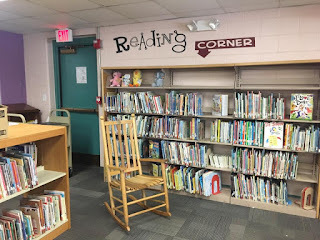 Guest blog post by Anne Marie Doyle, a elementary school library media specialist in Westerly, Rhode Island. And also my sister! I love the beginning of the school year, but this year I am particularly excited. I have been job sharing at my school for 8 years and this school year marks my return to full time! I have been thinking about the layout of my library for few years but have been hesitant to change too much because I have been sharing the space with other librarians. 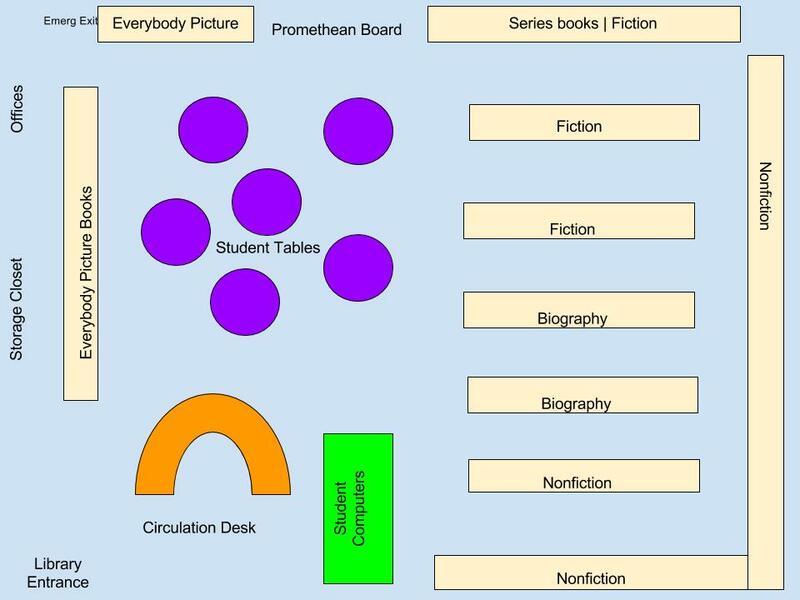 Now, that I am the sole librarian at the school, I decided to re-organize the library to create an environment more conducive to learning, the supervision of students and ultimately more inviting to both students and staff. I asked my sister who is also a school librarian to help out with the project. We decided to move every section of the library to create a layout that had a better flow and allowed more access to the children for supervision during book selection time. My lessons were constantly being interrupted by teachers and students coming and going in to the offices and storage closets. I could not see the younger students who were checking out books from the circulation desk. The Fiction section was smooshed into a very small area with series books pulled out and distributed randomly on the tops of the shelves. There were books on top of every single bookshelf, even the tallest that students could not reach. The collection had not been weeded in years. 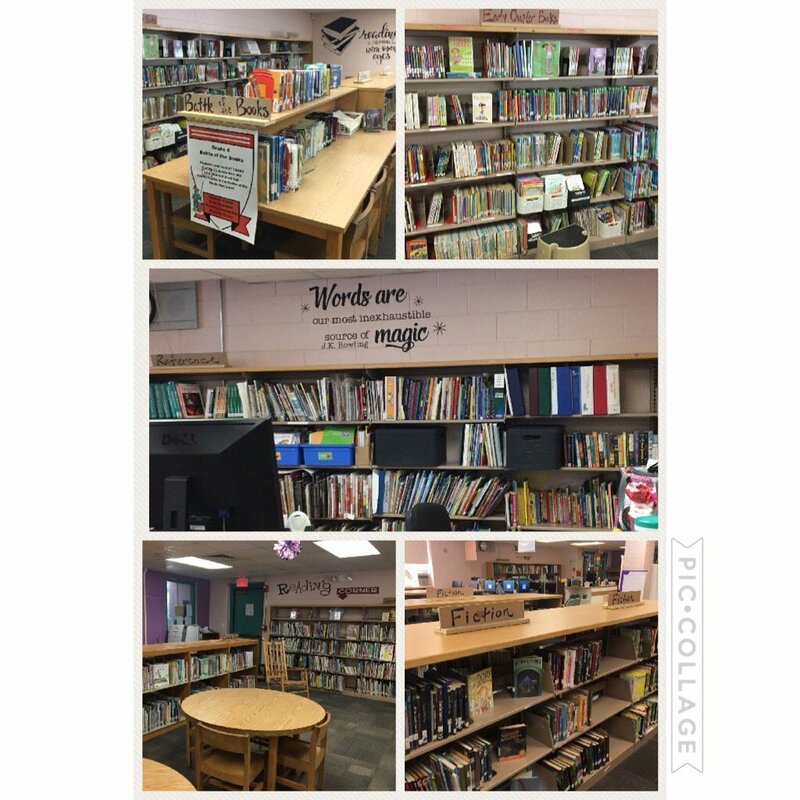 THE NEW AND IMPROVED SCHOOL LIBRARY!!! The work was long, tedious and sweaty, but the effort was worth it in the end. I added shelving from a school that closed in our district which gave me the privacy I was looking for from the offices. 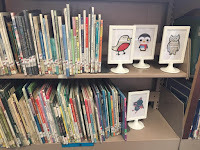 I moved the Everybody Picture books to these shelves and the adjacent shelves, so that I could better supervise our smaller students as they selected books. The Nonfiction and Biography Books were relocated to the far side of the room. 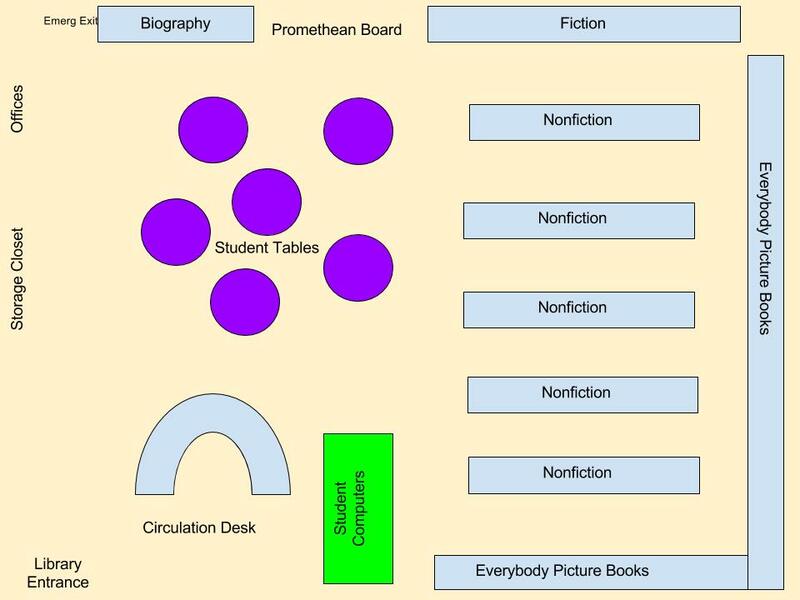 I spread out the Fiction books so students had room to spread out and browse. I also put the series book back in the Fiction section under the author's name to help students more easily locate them. 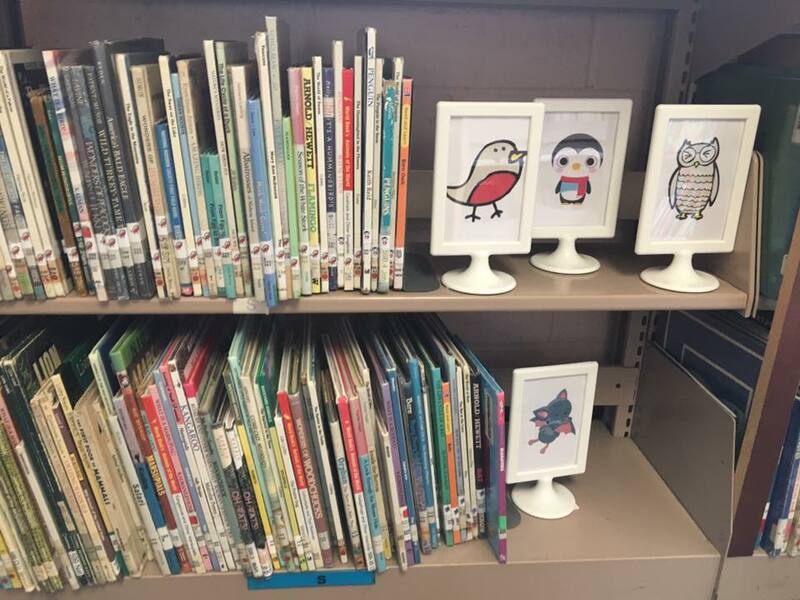 I also created a section of transitional chapter books for our younger students to access (and I can still see them from the circulation desk) but they are near the Fiction section so older, less skilled readers do not feel like they are in the "little kid section." I weeded enough books that the tops of all shelves were now clear and could be used for display only. We weeded so much that it looks like our shelves are filled with brand new books. I removed 15-20 year old signage that was was caked with dust. I created new visual signage and added vinyl stickers to spruce up the cinder block walls. The art teacher helped me create movable signage for sections. I made the signage on Canva and the frames came from Ikea. 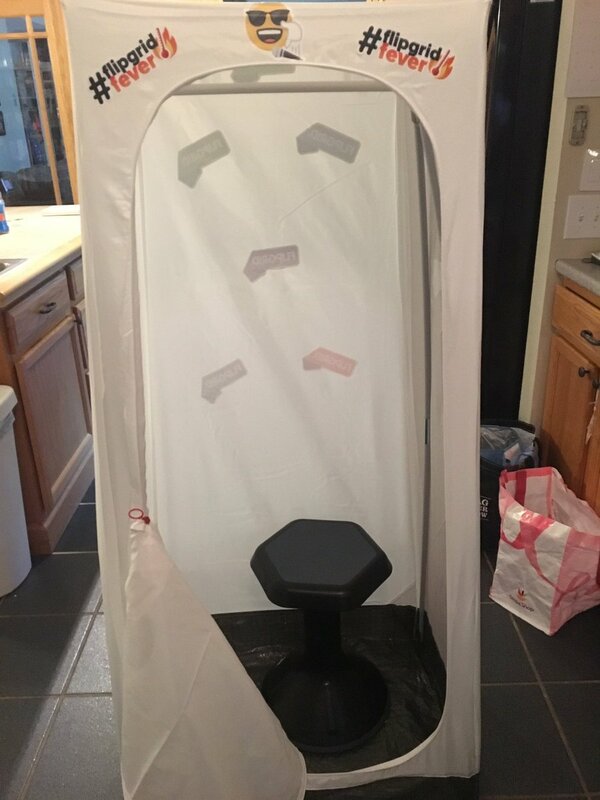 I purchased a cloth wardrobe closet to use as a Fligrid space so students can have privacy while creating video responses. The best part was seeing the kids reactions when they walked in. 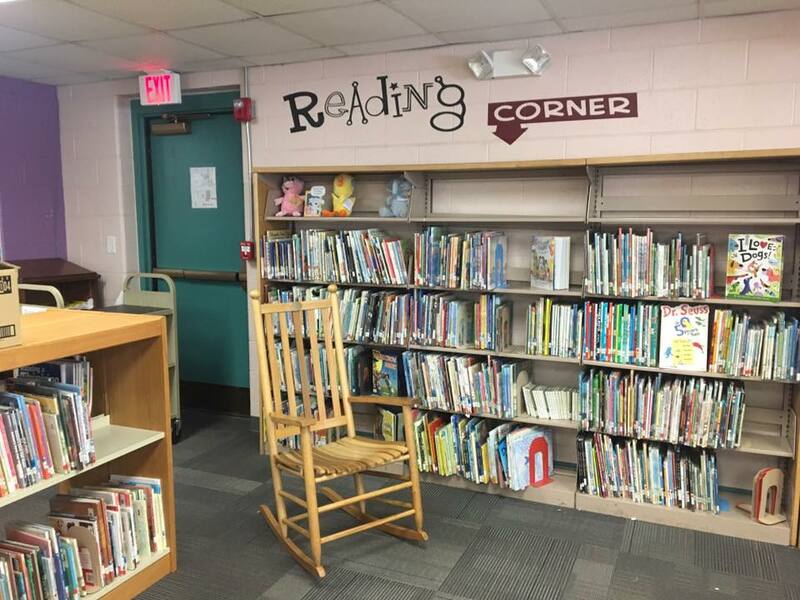 It is going to be a great year in our fresh new library space!